The eagle holds strong cultural significance to tribes of the Southwest and beyond. Long before the first settlers reached the shores of North America, the eagle was seen as a symbol of power and freedom. All the jewelry in our Eagle Valley jewelry theme is designed to honor the eagle as well as the beautiful Southwest landscape so many eagles call home. Many tribes believe the creator chose the eagle as a leader of all birds and master of the sky – providing the ability to fly higher and see further than any other bird. The eagle is believed to be a messenger of the creator, carrying the prayers of man between the living world and the world of the spirits. That's why you'll see many shades of the sky in our Eagle Valley jewelry theme. It is the realm between the living and spiritual world where the eagle resides. The items in our Eagle Valley collection capture the beauty of Emerald Valley turquoise or similar stones, which capture both the color of the earth and sky – a perfect selection to represent the connection between two worlds. Each stone is unique and ranges in colors from blue to dark green with brown veins. These stones are meticulously selected, carved, ground and placed into a beautiful genuine sterling silver backdrop. You won't find better workmanship and detail anywhere. 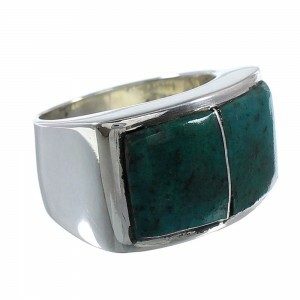 Our artists create this jewelry to the highest standards of excellence. 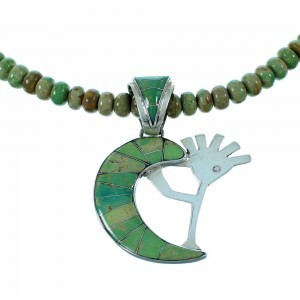 Every item is inspired by the Southwest tribes and their connection to the Earth, eagle and sky. You'll find the most stunning and expertly crafted examples of jewelry in our Eagle Valley collection. Our artists craft every piece to the highest standards of quality, durability and beauty. We offer not only the best selection on the web, but incredible prices to ensure you'll always find a great deal on a massive inventory of stunning jewelry. 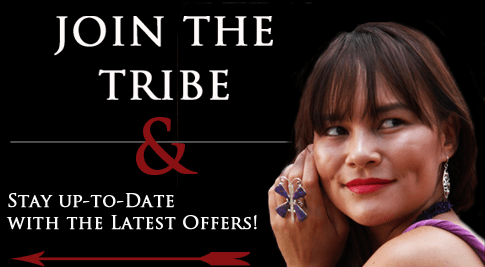 Become a Preferred Member today to receive exclusive deals on a growing collection of American Indian jewelry and art by simply signing up for our email list. Find the perfect addition to your jewelry collection today and we'll ship your purchase for free. You'll always find the best prices on the largest collection of Native American jewelry and our Eagle Valley collection is sure to captivate any jewelry collector. Shop with SilverTribe today and experience for yourself what makes our WhiteRock Collection so sought after by so many jewelry enthusiasts; as well as what makes us the online leader in Southwest jewelry and art.